Ah, there she is. 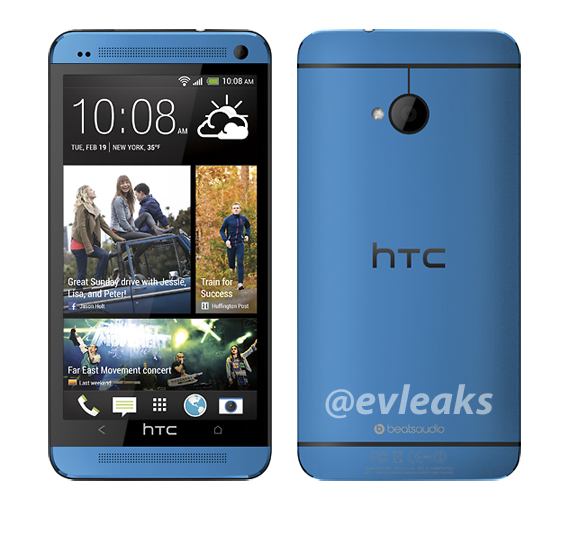 This is the HTC One in blue as leaked from the @evleaks Twitter account, a device we have been hearing about for quite some time. Now that we are seeing the device, we are sort of surprised it’s not too dark or rich of a blue, kind of like the intensity of the red One that HTC showed off last month. We should note that there are currently rumors circulating that Verizon will be getting the One in blue sometime after the device finally goes on sale, but with no real evidence backing it up, we will remain hesitant for now. The One is expected to launch on Big Red August 15, just a week and a half away. If you had to choose just one, would you go for the silver, black, red or blue One? I would lean towards red, personally. Red is hot.